The Tale of Despereaux is a fairy tale that proceeds as if someone were making it up right then and there. 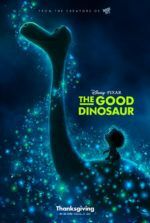 Sigourney Weaver narrates the animated feature rendered by Framestore Animation and released through Universal Animation Studios, and she seems to be spinning this yarn as it progresses, adding in every anecdotal character and subplot as it strikes her fancy. She didn’t, of course, because the script was based on the popular novel by Kate DiCamillo. But the lacking cohesion of the plot and seemingly arbitrary events within the film would indicate otherwise. The tale itself involves a human kingdom, a mouse kingdom, and a rat kingdom—more than enough for one story. None of them are very appealing, each set in bleakly represented Medieval squalor. Animals talk to humans; humans talk to animals. This is nothing new. The plot is assembled from better stories established in even better-animated films from, well, every Disney movie in the last eighty years. A chivalrous mouse named Despereaux (voice of Matthew Broderick) is born with curious eyes and enormous, Dumbo-like ears with which he flies about—the better to hear and to see the world with. As a result, he’s unafraid like most mice and dedicates himself to a code of honor that he read about in a legend. Thinking himself a knight of sorts, he sets out to save the Kingdom of Dor, which has fallen on hard times since the king made rats illegal and banned the realm’s favorite pastime: soup. Admittedly, there are several aspects to The Tale of Despereaux that I just didn’t understand, beginning with the curious fixation on soup. Consider how the film’s top chef, Andre (voice of Kevin Kline), speaks to an anthropomorphized “Soup Genie” named Boldo (voice Stanley Tucci), who’s assembled from various edibles and floats in the kitchen offering insight on soup ingredients. Is Boldo a figment of Andre’s imagination? Decidedly not, since later in the film Despereaux rides the spirit’s shoulder to save a Princess in peril. Are there other food apparitions we should be aware of? How do I get in touch with the “Pizza Genie” if one exists? I enjoy some nice hot soup now and again on a cold day, but do children really enjoy soup enough to base a whole movie in a world obsessed with the stuff? Rules for the story’s world are never firmly established, and for children’s entertainment, a film either needs to ascertain what those rules are or admit the world is a funhouse void of limitation altogether. Ambiguity is not an option, as younger viewers have no patience for it. Film critics are like that too. And by the number of children squirming in their seats during my mid-afternoon screening, their attention spans weren’t grasped, nor were their imaginations, nor were mine. I’d chalk that up to being unable to follow the haphazard manner in which the plot unfolds. In one scene the narrator confesses, “Remember when we told you guilt was the strongest emotion a person could feel? Well, that’s not true.” Then why did you tell us that in the first place? 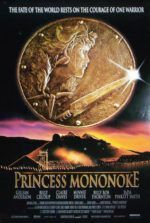 The sole redeeming feature is the film’s animation whose design appears inspired by Netherlandish painter Pieter Bruegel, realized with as much photo realism as a story about talking mice can offer. Indeed, the mice are draped in the rags of Bruegel’s peasant, while the humans take a more Flemish look, seemingly out of Jan Van Eyck. The settings are stylized like early northern European Renaissance painting, complete with trompe-l’œil details that are a wonder to behold. 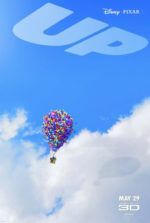 But the characters move slowly, in frigid, unnatural actions that would have Pixar animators struggling to contain their laughter. 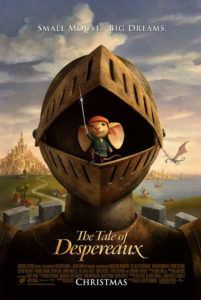 And yet, with the film’s rather bleak, gray-skied plot centered on regret and a preoccupation with “longing,” The Tale of Despereaux will not likely entertain its target audience: children. Adults will find little to savor in the picture, save for the beautiful animation, and youngsters will find it too tame. It would be easy to condemn such (attempted) classical fables as irrelevant, citing the setting and straightforward presentation for the film’s failure. However, the writers are wholly to blame for telling an uninteresting story, no matter how visually attractive it may be.